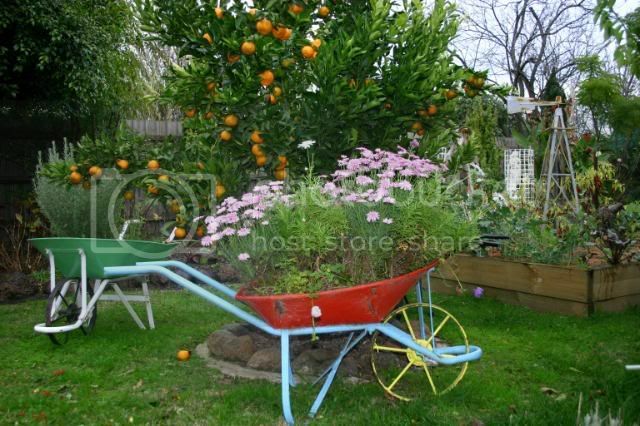 Lot's of colour there...wish my mandarin tree looked like that...it's only about 60cm tall !! A great crop there and the barrow looks rather nice as well. looks good thee, and yes you did trick me.